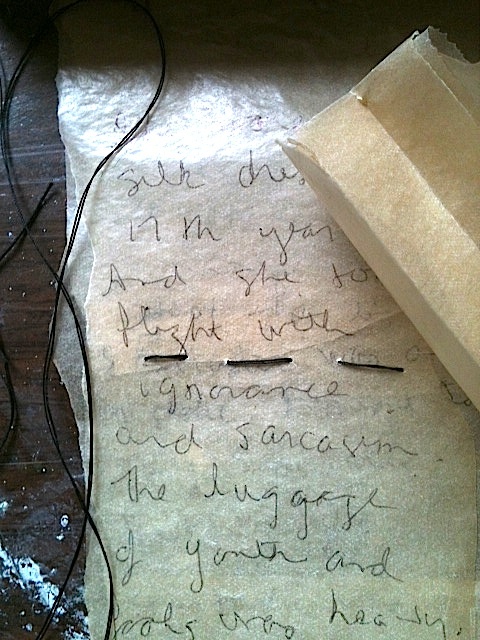 Reworking a piece of work and writing its corresponding poem. Mediums include vellum, thread, gold leaf, paint. Today, take note: your Destination Journal can be outside the book or linear form. Log or create on sheets of vellum, onion peels, plant remnants or other loose materials.